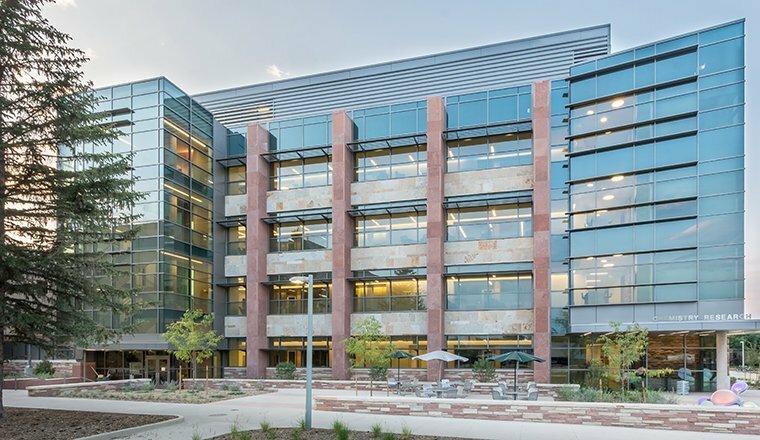 Located on CSU’s main campus, the Biology Building anchors the North end of the future Science Quad. 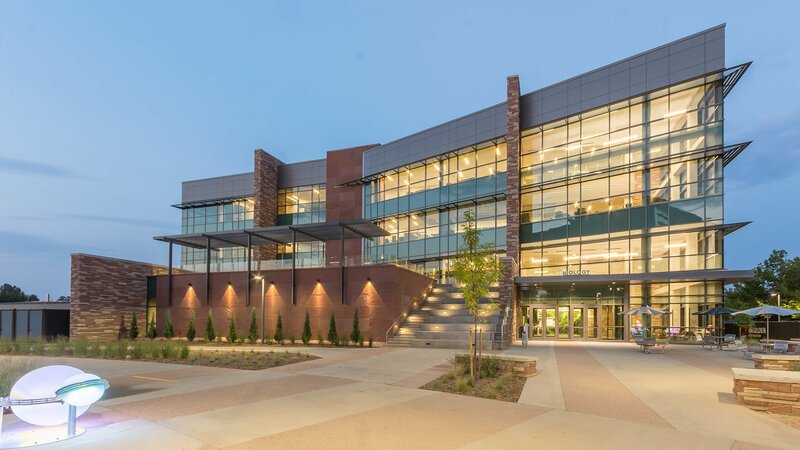 The LEED Gold Biology building is situated on 2.2 acres across from the new Chemistry building (also design by HCM), and provides a unified landscape and a cohesive connection between each building. 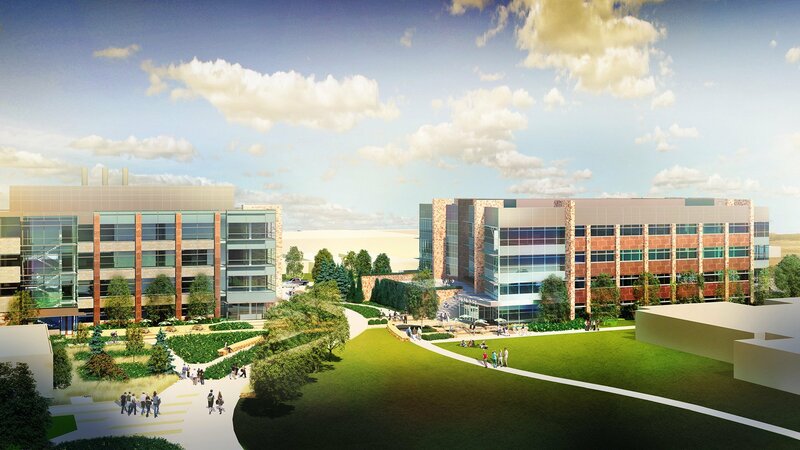 A generous 16 ft wide 2-lane bicycle path, separated from the pedestrian walk also serves as a required fire lane that connects the future science quad to the main collector bicycle routes and continues on as part of a larger campus bicycle path system. 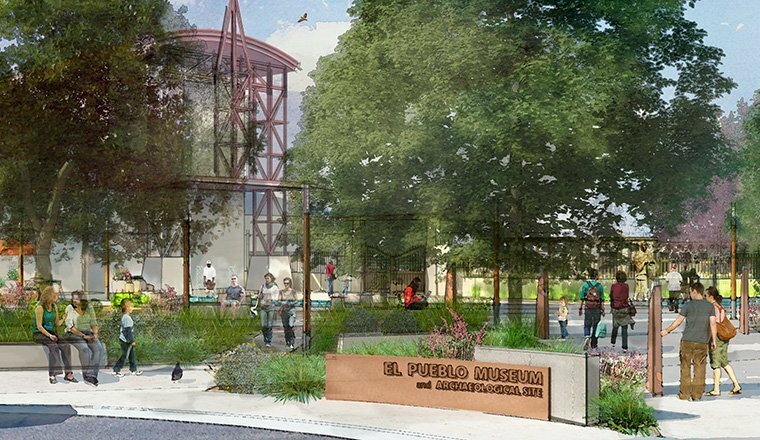 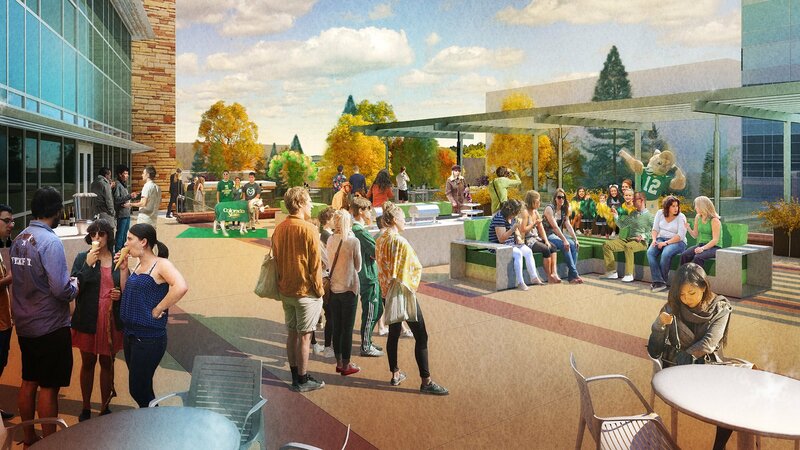 The southwest entrance features a large student plaza with a variety of seating options and planting areas with deciduous shade trees to provide filtered shade during warm weather, but sun percolation during the colder winter months. 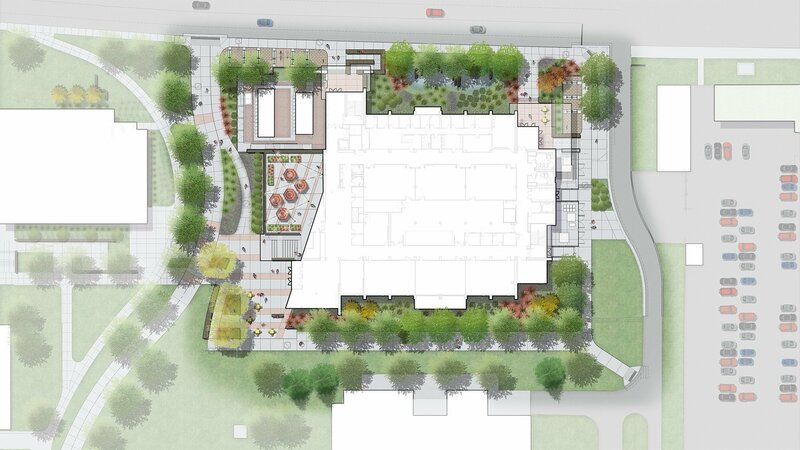 The plaza also features an occupiable stair leading to a second floor rooftop patio, showcasing the great views of the mountains to the west, with planters and movable furniture for flexibility and space for hosting small events, tailgate parties, or impromptu study sessions. 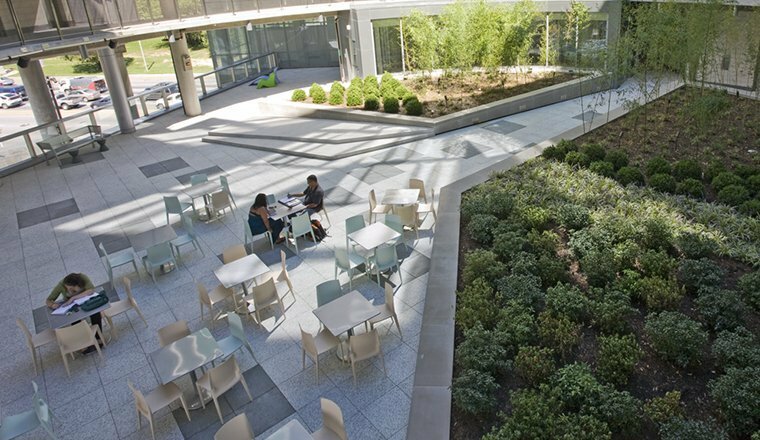 The landscape design blends with the surrounding campus character, while standing out with striking paving patterns, sandstone seat walls, and large swaths of native and xeric plantings. 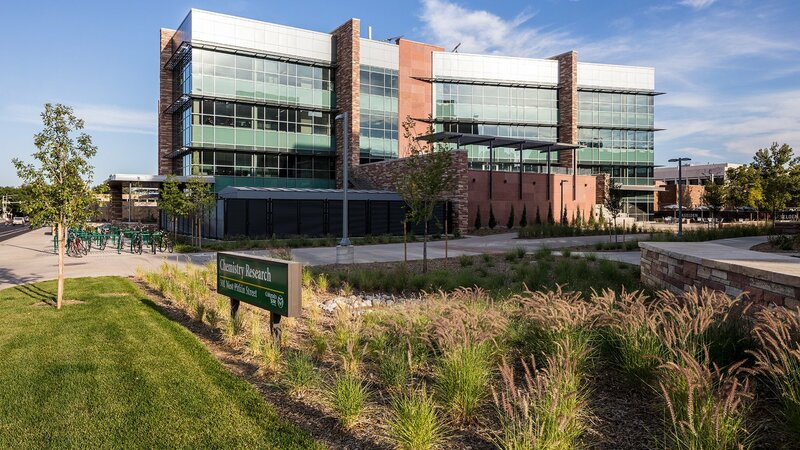 A rain garden at the northern entry provides a learning opportunity for the students and the facilities team to experiment with a variety of plantings to track successful species and systems for future designs on campus.